Karen Pillsworth has been sharing her stories for 30 years in libraries, schools, camps, churches, festivals and senior residences throughout the Northeast. She is regularly featured at Mohonk Mountain House and has shared her stories on WAMC, National Public Radio. 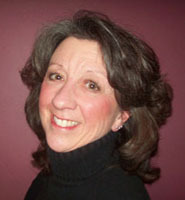 Karen is also a workshop presenter and keynote speaker. Karen’s work has been published in Storytelling Magazine and in The Storytelling Classroom: Applications Across the Curriculum. She was selected as a National Arts Education Fellow for her storytelling program: “There’s No Place Like Home: Stories of the Hudson Valley and Catskill Mountains”. In 2002 she was named the Storyteller Laureate for the city of Kingston, NY. Karen will craft programs to fit occasions and curriculum. Audiences: PreK, K-High School, Family, Adult. Programs: Spiders, Snakes and Mice…oh my! New York…..Read, White and Blue; Picture This, Imagine That; Tune In to the Oldies; A Time for Stories; Books…….a Treasure; Get a Clue at Your Library. Workshops: Storyteller Laureate; Once Upon a Classroom; The Story Hat; Storytelling, Math & Science.